The story of Noah’s preservation through the awful Flood has been recognized by all Bible students as a beautiful picture of the resurrection. It is, of course, a true story that actually happened the way the Bible describes, but it is also a beautiful analogy. The Flood was sent as a judgment upon the sinful world of Noah’s day (Genesis 6:5-7, 11-13, 17). The “wages of sin” (Romans 6:23) has always been death. But God provided a way of salvation (i.e., the Ark that Noah built) to those eight souls who believed, Noah and his family (Genesis 6:8-9, 14-16, 18-22). Although the analogy is not perfect, it does beautifully illustrate the fact that the punishment for sin is still death and that God has provided a perfect way of salvation to those who believe in His Son Jesus Christ and in His death on the cross. In that light, it is interesting to note the date in today’s verse, which has great significance. The calendar was changed by God at the time of the Passover, another beautiful prefigure of Christ’s work. The seventh month became the first month (Exodus 12:2), and the Passover was to be observed on the fourteenth day of that month (v. 6) each year following. “Christ our passover” (1 Corinthians 5:7) was sacrificed for us on that day (John 19:14) and rose again the third day, the seventeenth day of the first (formerly the seventh) month. 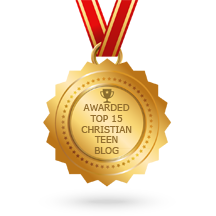 This entry was posted in A CLICK A BLESSING TODAY, CHRISTIAN NUGGETS and tagged Mt. Ararat and the Resurrection. Bookmark the permalink.